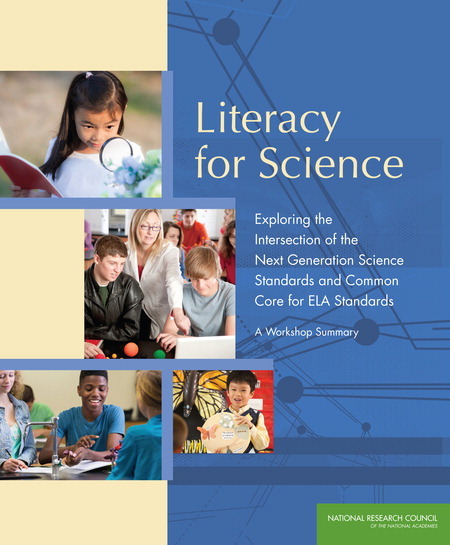 A Framework for K-12 Science Education and Next Generation Science Standards (NGSS) describe a new vision for science learning and teaching that is catalyzing improvements in science classrooms across the United States. Achieving this new vision will require time, resources, and ongoing commitment from state, district, and school leaders, as well as classroom teachers. Successful implementation of the NGSS will ensure that all K-12 students have high-quality opportunities to learn science. Guide to Implementing the Next Generation Science Standards provides guidance to district and school leaders and teachers charged with developing a plan and implementing the NGSS as they change their curriculum, instruction, professional learning, policies, and assessment to align with the new standards. For each of these elements, this report lays out recommendations for action around key issues and cautions about potential pitfalls. Coordinating changes in these aspects of the education system is challenging. 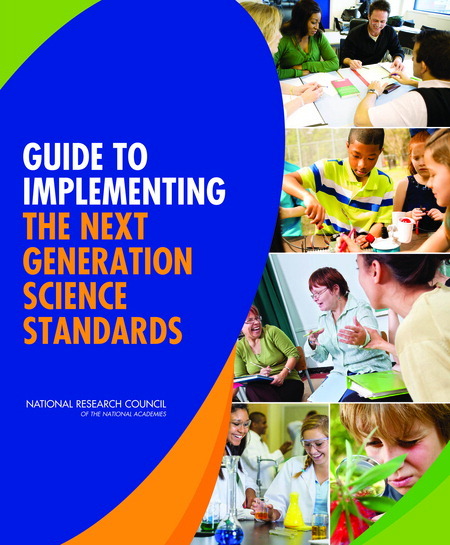 As a foundation for that process, Guide to Implementing the Next Generation Science Standards identifies some overarching principles that should guide the planning and implementation process. A Framework for K-12 Science Education proposes a new approach to K-12 science education and identifies core ideas, crosscutting concepts, and practices all K-12 students should learn. The framework serves as the basis for the Next Generation Science Standards. Implementing a new vision for how students should learn about science will require new kinds of assessments. 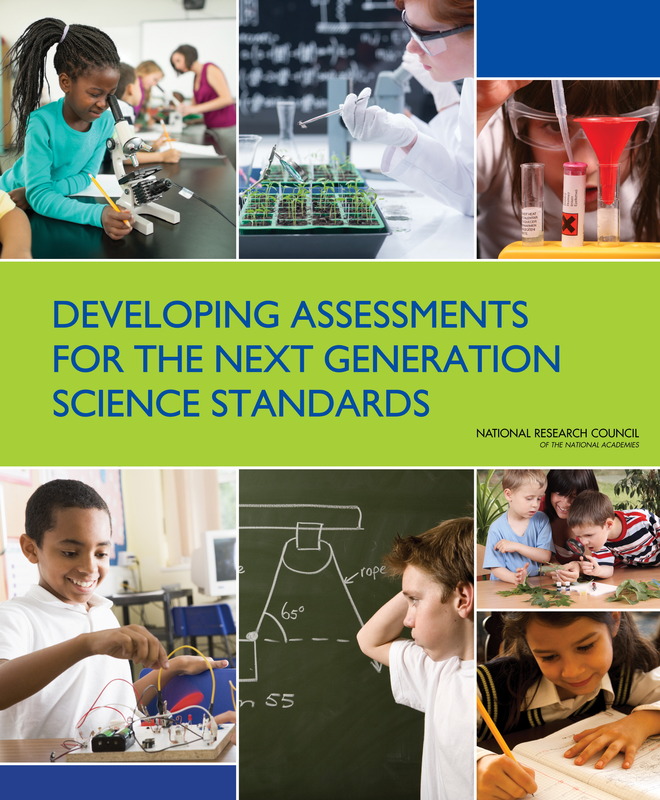 Developing Assessments for the Next Generation Science Standards recommends strategies for assess student progress in learning science as laid out by the Next Generation Science Standards. Common standards in K-12 education in key subjects – mathematics, English/Language Arts, and science -- have been developed separately in recent years, but there are areas where these standards overlap across subject areas. The Board on Science Education held a two-day workshop in February 2014 that brought together experts in science education and language arts education to discuss these issues. Literacy for Science summarizes presentations and discussions at the workshop.